Match ends, Sassuolo 0, Roma 2. Second Half ends, Sassuolo 0, Roma 2. Goal! Sassuolo 0, Roma 2. Stephan El Shaarawy (Roma) right footed shot from the centre of the box to the centre of the goal. Assisted by Diego Perotti. Attempt missed. Federico Peluso (Sassuolo) header from very close range is high and wide to the left. Assisted by Nicola Sansone with a cross following a corner. Corner, Sassuolo. Conceded by Seydou Keita. Attempt blocked. Nicola Sansone (Sassuolo) right footed shot from outside the box is blocked. William Vainqueur (Roma) is shown the yellow card for a bad foul. Nicola Sansone (Sassuolo) wins a free kick in the attacking half. Penalty missed! Still Sassuolo 0, Roma 1. Domenico Berardi (Sassuolo) hits the bar with a left footed shot. Second yellow card to Radja Nainggolan (Roma) for a bad foul. Penalty conceded by Radja Nainggolan (Roma) after a foul in the penalty area. Penalty Sassuolo. Lorenzo Pellegrini draws a foul in the penalty area. Attempt missed. Paolo Cannavaro (Sassuolo) right footed shot from outside the box misses to the left. Assisted by Federico Peluso. Attempt blocked. Matteo Politano (Sassuolo) left footed shot from the left side of the box is blocked. Offside, Sassuolo. Francesco Acerbi tries a through ball, but Nicola Sansone is caught offside. Attempt saved. Francesco Acerbi (Sassuolo) left footed shot from the centre of the box is saved in the centre of the goal. Attempt saved. William Vainqueur (Roma) left footed shot from the right side of the box is saved in the centre of the goal. Assisted by Norbert Gyömbér. Substitution, Sassuolo. Matteo Politano replaces Alfred Duncan. Corner, Roma. Conceded by Andrea Consigli. Attempt saved. Stephan El Shaarawy (Roma) right footed shot from the centre of the box is saved in the top left corner. Corner, Roma. Conceded by Paolo Cannavaro. Attempt blocked. Radja Nainggolan (Roma) right footed shot from the centre of the box is blocked. Assisted by Mohamed Salah. Substitution, Roma. Emerson replaces Maicon. Delay in match Norbert Gyömbér (Roma) because of an injury. Norbert Gyömbér (Roma) wins a free kick in the defensive half. Foul by Sime Vrsaljko (Sassuolo). Foul by Norbert Gyömbér (Roma). Diego Perotti (Roma) wins a free kick in the attacking half. Attempt blocked. Nicola Sansone (Sassuolo) right footed shot from the left side of the box is blocked. Assisted by Alfred Duncan. Lorenzo Pellegrini (Sassuolo) wins a free kick on the right wing. Foul by Diego Perotti (Roma). Foul by Lorenzo Pellegrini (Sassuolo). William Vainqueur (Roma) wins a free kick in the defensive half. Attempt saved. Domenico Berardi (Sassuolo) right footed shot from the centre of the box is saved in the centre of the goal. Assisted by Federico Peluso with a cross. Substitution, Sassuolo. Lorenzo Pellegrini replaces Davide Biondini. Attempt blocked. Davide Biondini (Sassuolo) right footed shot from outside the box is blocked. Assisted by Domenico Berardi. Sime Vrsaljko (Sassuolo) wins a free kick on the right wing. Substitution, Sassuolo. Diego Falcinelli replaces Marcello Trotta. Offside, Sassuolo. Domenico Berardi tries a through ball, but Nicola Sansone is caught offside. Corner, Sassuolo. Conceded by Maicon. Maicon (Roma) wins a free kick in the defensive half. Substitution, Roma. William Vainqueur replaces Miralem Pjanic. Offside, Sassuolo. Francesco Magnanelli tries a through ball, but Nicola Sansone is caught offside. Corner, Sassuolo. Conceded by Norbert Gyömbér. Attempt saved. Mohamed Salah (Roma) left footed shot from the centre of the box is saved in the centre of the goal. Assisted by Miralem Pjanic. Attempt missed. Alfred Duncan (Sassuolo) left footed shot from outside the box is high and wide to the left. Assisted by Domenico Berardi. Corner, Sassuolo. Conceded by Wojciech Szczesny. Attempt saved. Domenico Berardi (Sassuolo) left footed shot from the right side of the box is saved in the bottom left corner. Attempt missed. Diego Perotti (Roma) right footed shot from outside the box is close, but misses to the left. Assisted by Norbert Gyömbér. Attempt saved. Nicola Sansone (Sassuolo) right footed shot from outside the box is saved in the centre of the goal. Assisted by Marcello Trotta with a headed pass. Offside, Sassuolo. Alfred Duncan tries a through ball, but Nicola Sansone is caught offside. 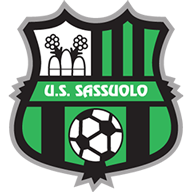 Second Half begins Sassuolo 0, Roma 1. First Half ends, Sassuolo 0, Roma 1. Offside, Roma. Radja Nainggolan tries a through ball, but Mohamed Salah is caught offside. Substitution, Roma. Norbert Gyömbér replaces Daniele De Rossi because of an injury. Attempt blocked. Mohamed Salah (Roma) left footed shot from outside the box is blocked. Corner, Roma. Conceded by Federico Peluso. Corner, Roma. Conceded by Alfred Duncan. Attempt blocked. Stephan El Shaarawy (Roma) right footed shot from outside the box is blocked. Assisted by Miralem Pjanic. Corner, Roma. Conceded by Sime Vrsaljko. Attempt saved. Marcello Trotta (Sassuolo) left footed shot from outside the box is saved in the centre of the goal. Assisted by Domenico Berardi with a headed pass. Attempt missed. Domenico Berardi (Sassuolo) left footed shot from outside the box is close, but misses to the right. Assisted by Francesco Magnanelli. Attempt blocked. Mohamed Salah (Roma) left footed shot from the right side of the box is blocked. Paolo Cannavaro (Sassuolo) wins a free kick in the defensive half. Attempt missed. Stephan El Shaarawy (Roma) right footed shot from very close range is close, but misses to the right. Assisted by Mohamed Salah. Attempt missed. Maicon (Roma) right footed shot from the centre of the box is close, but misses to the right. Assisted by Mohamed Salah following a fast break. Foul by Ervin Zukanovic (Roma). Seydou Keita (Roma) is shown the yellow card for a bad foul. Nicola Sansone (Sassuolo) wins a free kick in the defensive half. Foul by Mohamed Salah (Roma). Francesco Acerbi (Sassuolo) wins a free kick on the left wing. Foul by Davide Biondini (Sassuolo). Attempt missed. Nicola Sansone (Sassuolo) right footed shot from the centre of the box misses to the right. Assisted by Davide Biondini with a cross. 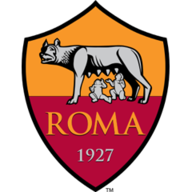 Delay in match Seydou Keita (Roma) because of an injury. Attempt blocked. Domenico Berardi (Sassuolo) left footed shot from outside the box is blocked. Assisted by Paolo Cannavaro. Dangerous play by Mohamed Salah (Roma). Attempt blocked. Radja Nainggolan (Roma) right footed shot from the centre of the box is blocked. Assisted by Miralem Pjanic with a cross. Corner, Sassuolo. Conceded by Antonio Rüdiger. Goal! Sassuolo 0, Roma 1. Mohamed Salah (Roma) left footed shot from outside the box to the bottom left corner. Assisted by Miralem Pjanic. Ervin Zukanovic (Roma) wins a free kick in the defensive half. Dangerous play by Domenico Berardi (Sassuolo). Attempt saved. Nicola Sansone (Sassuolo) right footed shot from outside the box is saved in the bottom left corner. Assisted by Domenico Berardi. Corner, Roma. Conceded by Francesco Magnanelli.